My two year old girl loves cars! She makes crazy faces as she drives her toy cars all over the house. 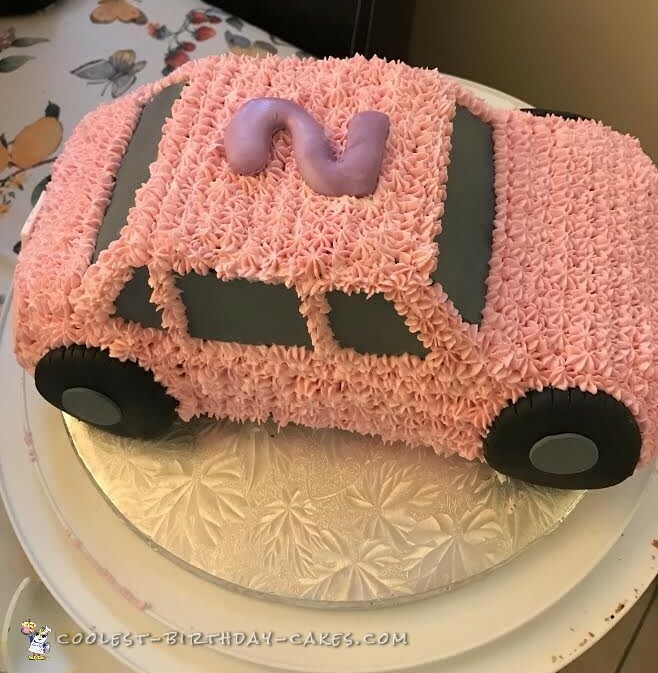 I knew I wanted to make her a car cake for her birthday party, but I also wanted it to be pink. 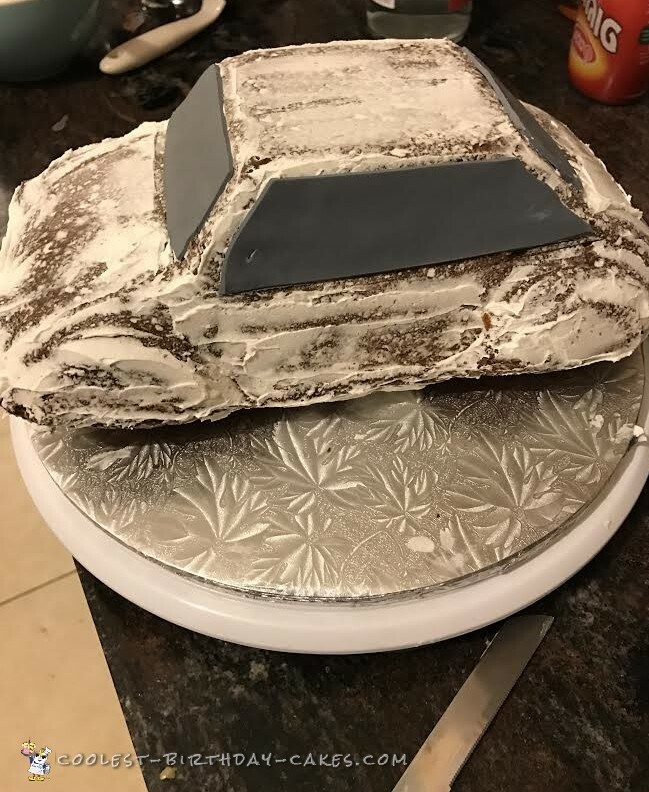 I used the Wilton Cruiser mold to bake my cake and let it cool completely. I then coated it with a thin layer of icing to lock in the crumbs. Next, I worked on the fondant pieces. I love the look of fondant, but I don’t love kids eating so much of it. 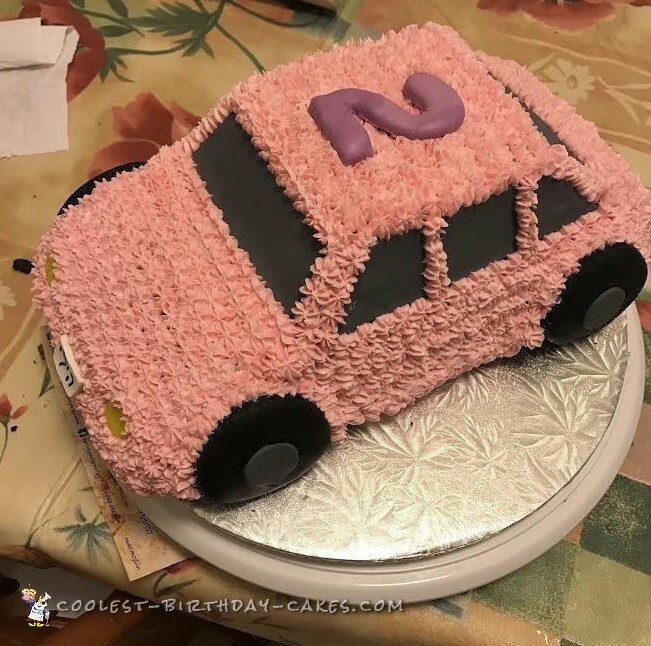 I decided to only use fondant for the windows, wheels, headlights, the license plates and the number 2. 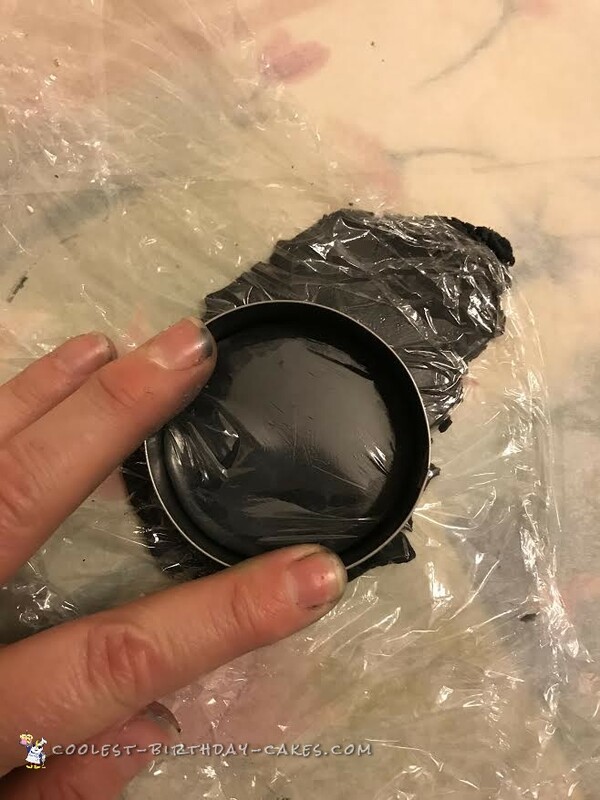 To get the fondant to look rounded, I placed saran wrap on top of the fondant before using cookie cutters to cut out the shapes. 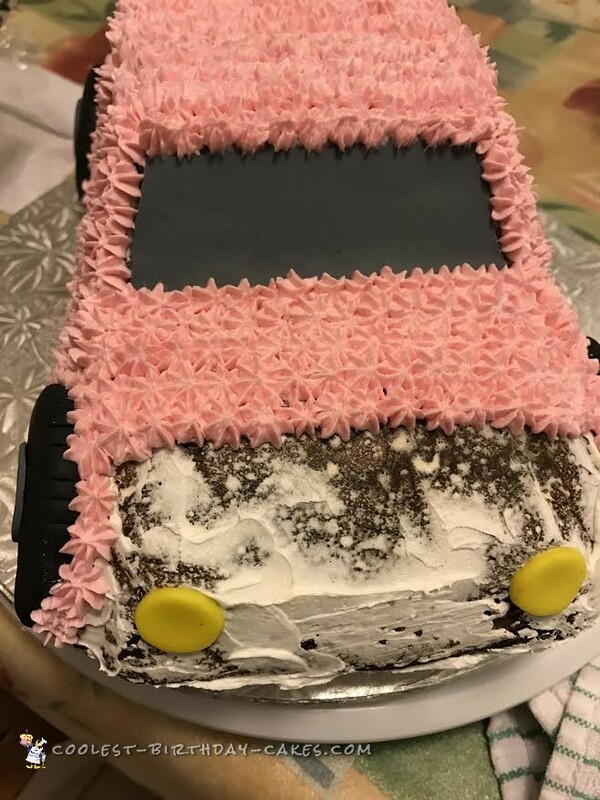 I wanted the wheels to be thicker but I was running out of black fondant, so thin wheels it was. I covered the cake with homemade buttercream frosting, using Wilton tip #16. This was the tedious part, but I made sure my husband kept me company so the time went by quickly. Once the fondant for the license plates hardened, I wrote my daughter’s name on them using an edible marker. 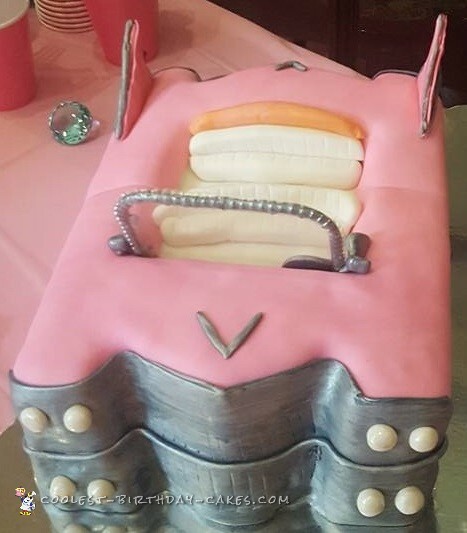 The next morning my daughter let out a gasp and said “wow!” when she saw the cake, so it was all worth it!